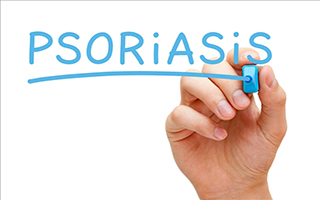 Could this fiber-rich food provide relief for psoriasis and other inflammatory skin diseases? If you haven't thought much about celery since you ate it ants-on-a-log style with peanut butter and raisins as a child or as part of a fad diet years ago, you may want to consider adding it back into your diet. It turns out this humble veggie is actually a powerhouse of nutritional benefits. New studies are popping up regularly to highlight just how beneficial this crunchy snack really is for your skin. You probably know that celery is high in fiber, so it can help keep your digestive system running smoothly. And you probably also know that it's an extremely low-calorie food (just 16 calories in an entire cup), so it can be a good way to add bulk to your diet and help you feel fuller if you're trying to lose weight. But you may be surprised to find out that celery can actually help your skin look better too. In fact, celery contains a powerful flavonoid called luteolin. Luteolin has anti-inflammatory properties, and a study published last year in PLoS One found that luteolin could help provide relief for people suffering from psoriasis and other inflammatory skin diseases. Another study, published in Food & Function in January 2014 isolated a flavonoid from celery leaves (which are also edible) and found that it had powerful antioxidant properties. It was an especially good scavenger, meaning it can help mop up the free radicals that contribute to aging throughout our bodies and in our skin. And that's not the only antioxidant celery offers. Celery is full of vitamin C, as well as other, less-pronounceable antioxidants, such as lunularin, bergapten, psoralen, quercetin, and apigenin. These antioxidants work together to help keep our cells safe and healthy. The nutrients in celery also work together to keep inflammation low in our bodies, which helps keep our skin healthy and glowing. You can enjoy celery raw, but if you'd like to soften it by cooking it, steaming is your best choice. Studies have shown that boiling or blanching celery decreases its antioxidant content by 38-41%. Steaming, by contrast, results in a loss of only 1-7% of these benefits even after 10 minutes. Store fresh celery in the refrigerator for no more than 5 to 7 days; after that, it begins to lose its phenolic antioxidants. When you're shopping for celery, keep in mind that celery has been included in the "Dirty Dozen" list of the fruits and vegetables coated with the most pesticides. Whenever possible, try to choose organic for your celery so you're not wasting the efforts of the antioxidants by putting them to use mopping up the pesticides you've consumed along with them. Celery makes a great snack, or you can chop it up and add it to salad and soups. 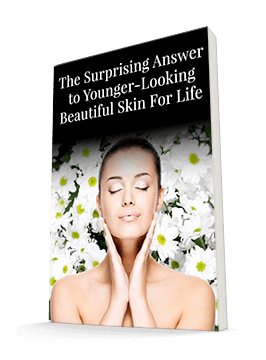 Look for opportunities to incorporate it into your diet - your skin will thank you!